The first fully working house with command blocks. 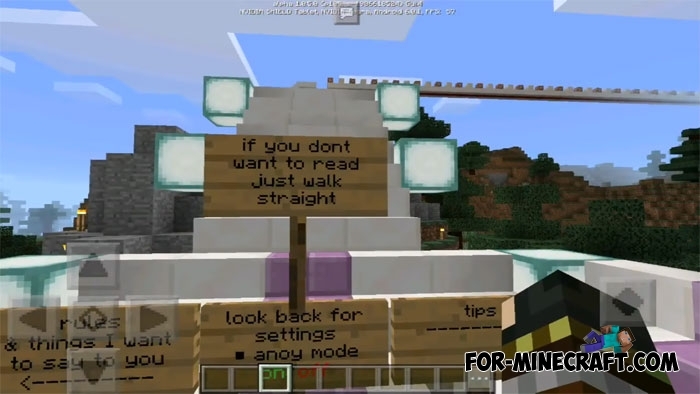 Here you can learn about these wonderful blocks - Minecraft PE 1.0.5 - Command blocks! Well, now let's describe this mansion a little where you can not only live but also control multiple parameters of the game without leaving home. Command blocks allow the player to change some global opportunities, so you become godlike. 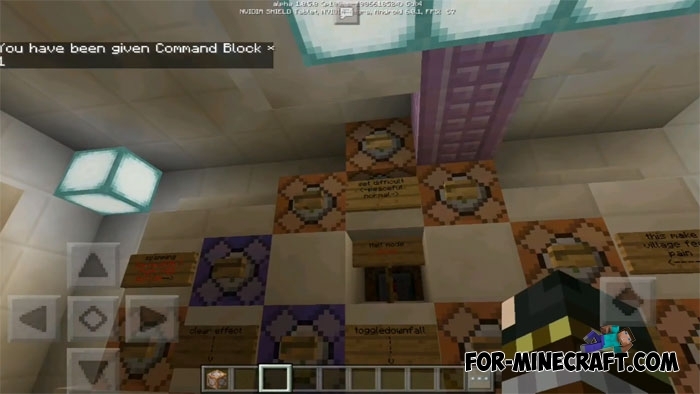 The house consists of several rooms and places where the author built these amazing mechanisms based on the command blocks. You can see for yourself when you get to the main room, but before that you are spawned at the starting point. In this place you can read the rules, read the tips or go to the mechanisms. The first is the control room. The entrance is automatic, just stand on the pressure plate and the door is open. 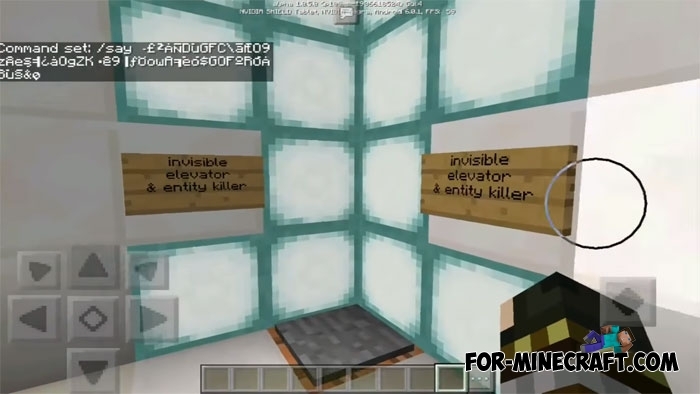 Inside the room is a wall with signs that allow you to change the complexity of the game, time, clean inventory, activate rain, get effects and perform other actions. 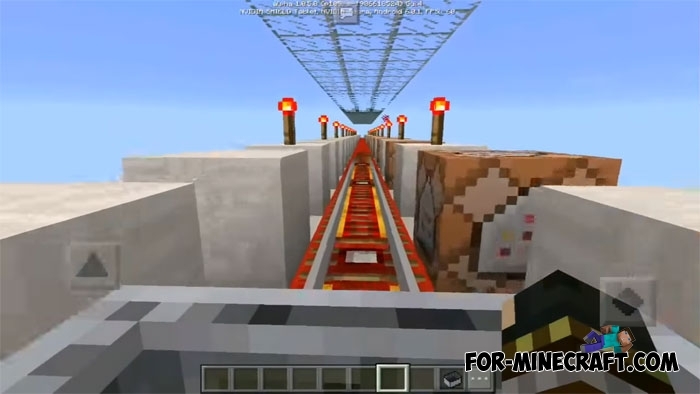 Then you can test the elevator working with levitation. It takes up little space and does not require additional action. Stand on the pressure plate and the elevator will move you a few stories higher. A small pool is located on the top floor and it automatically fills with water. It looks cool and is really an excellent mechanism for expensive mansions. You will definitely see a railway that decreases and increases depending on the direction of movement. This structure is used when your house is on a mountain and you need to hide the entrance. Amazing Mobs for Minecraft PE 1.0.0/1.0.4The addon replaces the usual creatures with mythological ones having their own unique abilities..